This was the card I came up with for the mojomonday sketch. I used perfect plum, basic grey, pale plum and kiwi kiss paper. 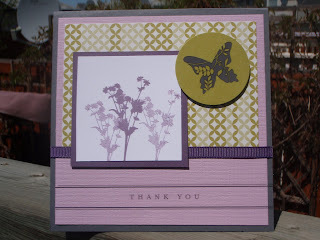 The pattern paper I used here was from my "Sweet" scrapbooking kit and the butterfly and thank you are from the spring mini cattie rub ons. 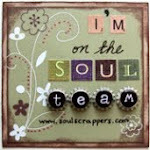 All products are Stampin Up. The silhouette stamp was stamped using perfect plum then used the stamp off technique to get the lighter colour. I luv these colors, great work...thanks for playing with the mojo makers!